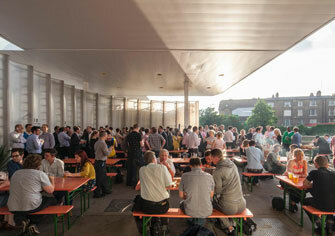 Architects Carmody Groarke have transformed an abandoned canal-side petrol station in north London into a temporary restaurant and events space with fluted walls. 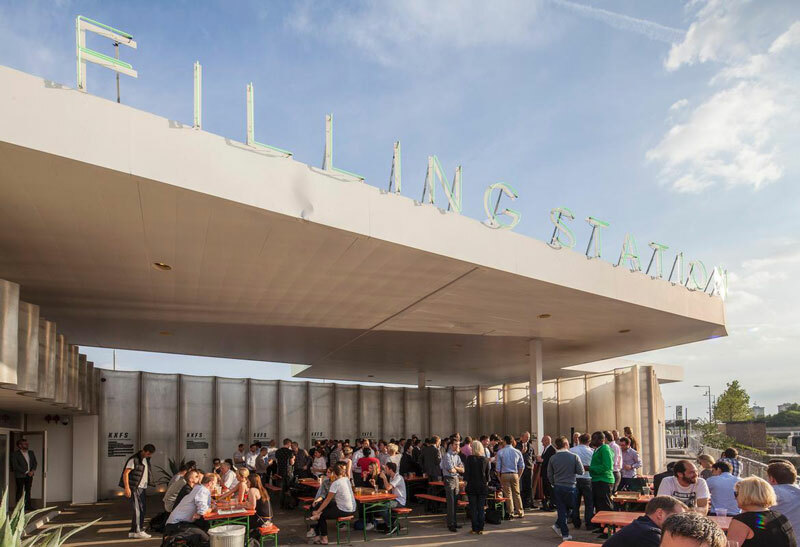 The canopy of the old station continues to shelter the forecourt while uber-fashionable pop-up restaurant Shrimpy’s is contained within the station’s old kiosk. 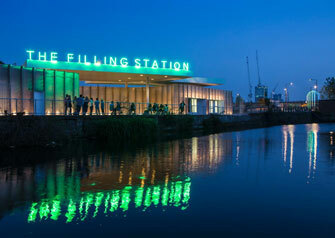 Named the King’s Cross Filling Station, the structure will remain in place for approximately two years before the site is redeveloped to provide housing. Sound Division were brought in, shortly after the launch of the Filling Station, to provide a wide range of technical production services including setting up DJ and PA systems, plasma screens and projectors and continue to supply equipment for a whole range of events taking place at this unique venue. 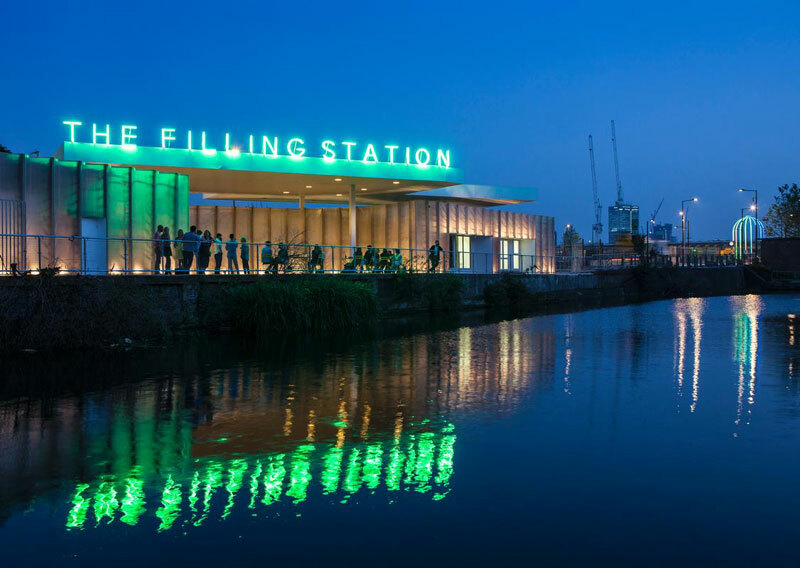 Located on the intersection of York Way and Goods Way and opposite the Guardian and Observer headquarters, King’s Place, The Filling Station is ideally located right at the centre of the rapidly evolving cultural hub of Kings Cross regeneration area.